Last month, pelvic pain enthusiasts traveled from all over the globe to attend the 3rd World Congress on Abdominal and Pelvic Pain in Washington, DC. The World Congress on Abdominal and Pelvic Pain is joint scientific meeting between the International Association for the Study of Pain Special Interest Group on Abdomino-Pelvic Pain, Convergences in pelvic-Perineal Pain, and the International Pelvic Pain Society (IPPS). This was the first time the meeting was held in the United States, hosted by the IPPS, and I was honored to serve as a Scientific Program Chair with Erin Carey, MD and current IPPS President Amy Stein, DPT. We lengthened the scientific session to 3 days, allowing us to have 27 speakers! The pre-conference Basics course sold out! Lorimer Moseley and Paul Hodges presented a killer post-conference course! The expert lunch roundtables sold out! Pelvic health professionals traveled from 26 countries, 30 exhibitors participated, and 89 researchers submitted abstracts. The entire Pelvic Health and Rehabilitation Center clinical staff attended the conference to learn from the best, and that we certainly did. As an added bonus for us at PHRC, the World Congress was a wonderful opportunity to all be together in one place for a number of days. We meet every Wednesday for our staff meeting via video hangout but obviously face-to-face time allowed us more quality time together. 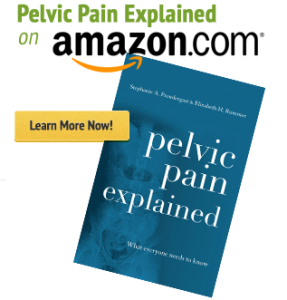 The latest research on how to best evaluate and treat complex pelvic pain syndromes was covered in detail and we are bringing this information to our blog. Before the conference, each PHRC physical therapist chose one lecture to blog about. 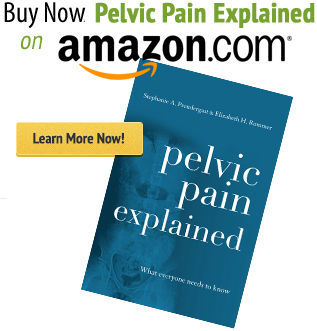 We want to share the latest research with our patients, with people recovering from pelvic pain, and with our colleagues who could not be there. Starting next week, our series of posts from the World Congress will begin and will continue through February. We stand with the IPPS in their mission to raise awareness about pelvic pain and to help men and women get the help they need. We hope others will share this information with people less informed and we hope this information will encourage medical providers to join the IPPS and attend future conferences. We hope you enjoy the series and please feel free to share you own thoughts and comments with us! Your blog is really helpful and I always look forward to it!! Thanks for putting great info out there.